Few applications are tougher on lubricants than racing. The ability of AMSOIL synthetic lubricants to withstand intense heat, elevated horsepower and massive torque has made us a fixture at all types of racetracks. Our synthetic lubricants have helped teams operating off-road trucks, stock cars, high-powered boats, motorcycles and snowmobiles capture countless checkered flags and season championships. We believe that Racing is Research™, and we use the data collected from racing to tailor the complete AMSOIL product line for even greater levels of performance. 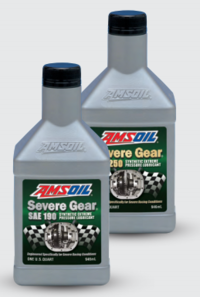 The AMSOIL Offshore Racing Team has claimed many national and world championship titles in several different categories of racing, and AMSOIL DOMINATOR Synthetic Racing Oil has been key to its success. After a full racing season covering 3,000 miles of extreme driving, a teardown of one of the team’s Mercury* 525 EFI V-8 engines revealed clean, virtually wear-free components. Check out our synthetic racing motor oils - specially formulated to provide superior performance and maximum protection in high-performance and racing applications. Is formulated to deliver maximum power and cooler engine temperatures in high-performance and racing engines, resulting in improved lap times and longer-lasting equipment. DOMINATOR is race-proven to withstand the devastating effects of intense power and high-rpm driving, protecting your expensive engine for the duration of the race. DOMINATOR is the oil of choice for championship race teams on the track, water and dirt. And AMSOIL doesn’t design special formulations available only to corporately sponsored professional racers; the same DOMINATOR formulation the pros use every weekend is available to you. AMSOIL Dominator® Synthetic Racing Oil provides superior performance and maximum protection in high-performance and racing applications. DOMINATOR is engineered from advanced synthetic technology to better withstand the elevated rpm, high temperatures and shock-loading common to racing applications. A premium-grade gear oil specifically engineered for maximum performance in severe-duty applications. This state-of-the-art AMSOIL formulation features an exclusive blend of high-viscosity, shear-stable synthetic base oils and an extra treatment of high-performance additives. It maintains its viscosity for long-lasting protection against metal-to-metal contact. 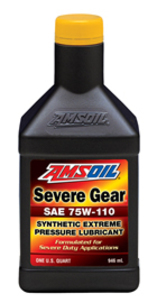 The proprietary AMSOIL additives form an iron-sulfide barrier coating on gear surfaces, providing the ultimate line of defense against wear, pitting and scoring. Provides superior performance and replaces competitors’ 75W-90 and 80W-90 gear oils. It delivers the best fuel efficiency and cold-temperature performance of the Severe Gear oils. Provides superior performance and replaces competitors’ 75W-110, 75W-90 and 80W- 90 gear oils. It delivers better viscosity protection than Severe Gear 75W-90. Maximizes power and improves performance in all two-cycle and four-cycle gasoline engines. Increases octane up to 4 numbers. Reduces engine knock, improves ignition and engine response, helps fuel burn cleaner and inhibits corrosion. Recommended for off-road and racing use. Provides superior performance and replaces competitors’ 75W-140, 80W-140 and 85W-140 gear oils. Use where these viscosities are required by OEMs and where maximum viscosity protection is needed for extreme severe-duty applications. 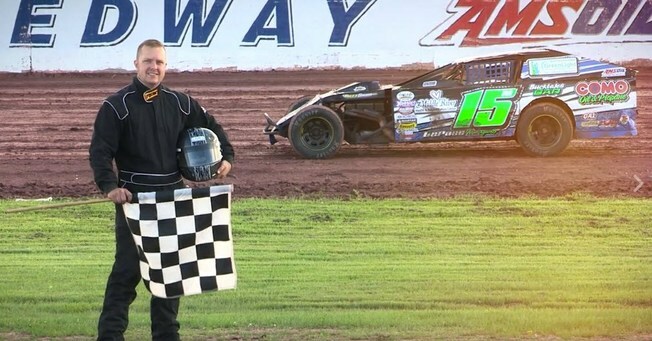 We recently sat down with AMSOIL Maintenance Technician (Buildings and Grounds) Justin Madsen, a championship-winning dirt-track racer, to dig into the racing scene and provide some tips for people interested in getting started. What tips do you have for someone interested in getting into racing? While it is fairly easy to get into racing, I would use caution about jumping in with two feet. There is a learning curve and a lot more goes into racing a car than simply strapping in and smashing the gas. Racing takes time and practice – the more seat time you can get, the better you will become. To get the best deal on a car and spare parts, shop around online and reach out to racers in the class your looking to get into. Don’t forget about a truck and trailer! Since I began racing six years ago, I’ve learned advanced vehicle maintenance and auto body tricks. I’ve also learned about track conditions and how to make adjustments to the car to prepare for the changes throughout the night. Although every race is a competition, the respect and sportsmanship we have as racers is so important. We keep our problems on the track and maintain a professional relationship. What is one thing you wish you had known from the start? That it takes a whole lot more than just a big engine to win. In fact, I’ve been more successful with an engine that didn’t put out the highest horsepower. I’ve found that good tire work and the proper shocks have helped me more than anything else. What modifications have you done to your car? My transmission is a turbo 350 that was built by AMSOIL racer Darrell Nelson. It takes a lot of time, effort and money to keep a car running at its max potential. Having a good crew to help is essential; I am fortunate enough to work with my friends or family, which makes it more enjoyable. Allow your drag racing vehicle to perform at its best with AMSOIL racing lubricants. No matter what type of engine oil you are looking for, whether it is for your drag racing vehicle, your everyday use car, motorcycle or even lubrication for your boat, at Synthetic Oil Direct you will find the perfect product. Call us today at (215) 834-8720 and let your engine experience the improvement!